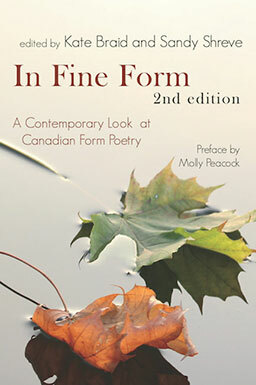 In the decade since the publication of the first edition of In Fine Form, there has been a resurgence of Canadian poets writing in “form” – in sonnets, ghazals, villanelles and palindromes. The first edition was called “groundbreaking” and “a landmark text.” Since then, In Fine Form has been widely used in classrooms and at large, by students, writers and readers. With 180 poems and almost 50 new poets, this 2nd edition continues to break new ground, exploring new forms not acknowledged in most other anthologies including prose poems, found poems and spoken word. This book is co-edited with Sandy Shreve. we talk of falling. It’s like butter boxes, Dale says. We could slide real good. Only hurts when you land! as if to warn the neighbours. laughing. They yell “Whee!” all the way down. 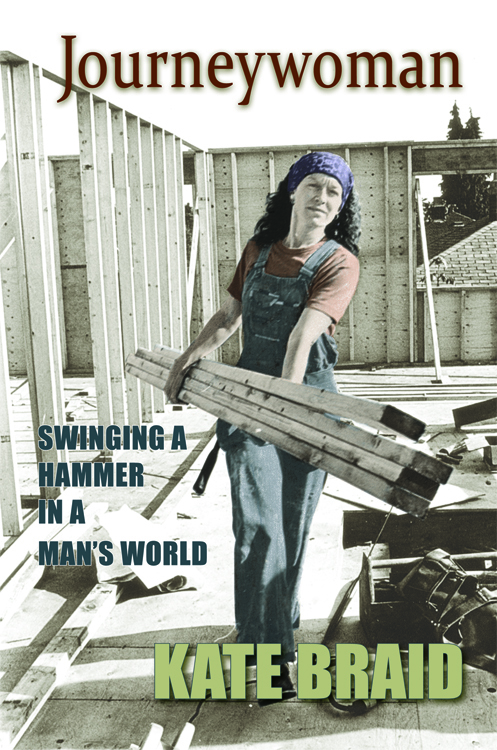 “Since women started working in the trades in the 1970s, very little has been published about their experiences. 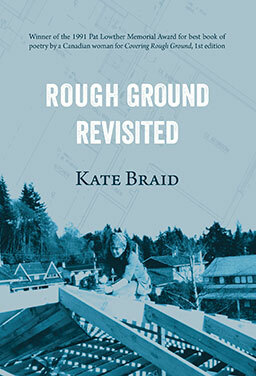 In this provocative and important book, Kate Braid tells the story of how she learned the carpentry trade in the face of skepticism and discouragement. She was one of the first qualified women carpenters in British Columbia, the first woman to join the Vancouver local of the Carpenters’ Union, the first to teach construction full-time at the BC Institute of Technology and one of the first women to run her own construction company. Though she loved the work, it was not an easy career choice but slowly she carved a role for herself, asking first herself, then those who would challenge her, why shouldn’t a woman be a carpenter? 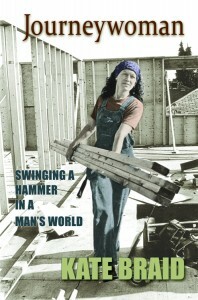 See what reviewers and readers have to say about Journeywoman: Swinging a Hammer in a Man’s World. hoist my beer in the bar as if native. This is the world of the knowing. when I turn left to go to the Ladies. how it all comes from the blood, from inside, you know? I only tell you this now because I’m drunk on sound. Tomorrow I will deny it. Kate is one of 24 authors whose essays were published in The Summer Book, a compendium of reflections on nature and the human spirit inspired by the summertime in British Columbia. The book was released this year by Mother Tongue Publishing.